Lux Delux ($4.99 Universal, $9.99 Mac) is a Risk-like strategy game that was available on Mac OS X long before it became available for iOS. 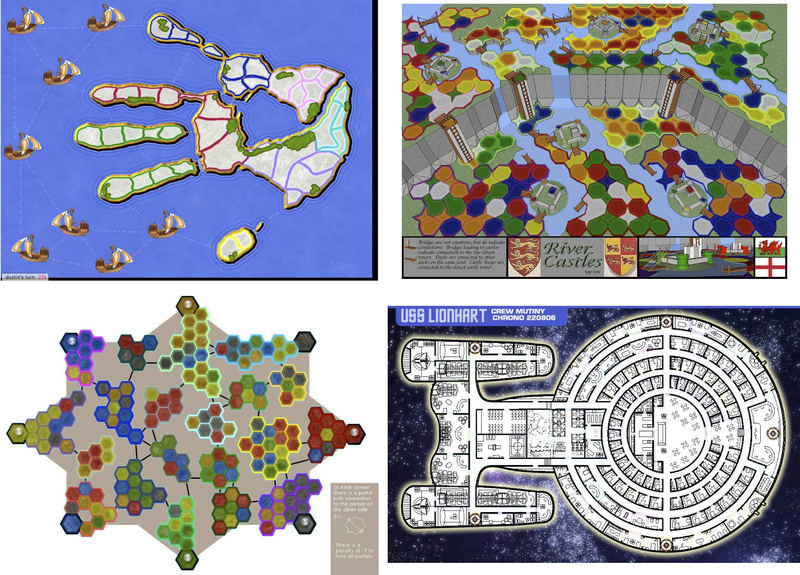 If you are not at first impressed by the number of different game maps you have to choose from, you may be impressed by the level of control you have over the in-game artificial intelligence. Lux is a board game in which you occupy geographic regions on map. Each territory you own is represented by a number of troops that occupy that territory. You know which territories are yours by their color. When it is your turn to move, you select your attacking army’s territory first, then select the enemy territory you wish to overtake. Typically the army with the most troops wins the battle. However, each fight will cost you. The more you spread out you troops across a map, the fewer troops you have to occupy and defend your territories. There are no board pieces to move around, just colored map regions with numbers on them. 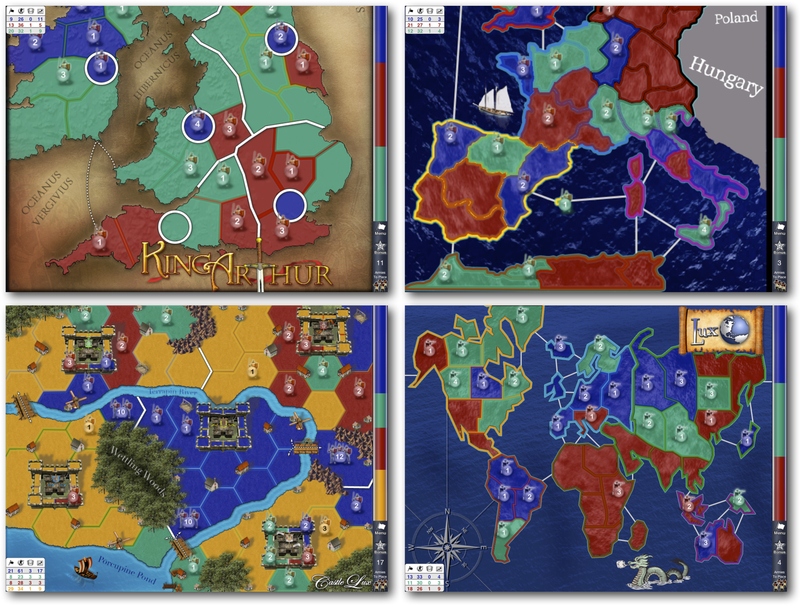 Once you select the territory you want to attack with, tapping and holding down on the territory you are attacking will continue the battle until either you run out of troops or are ultimately victorious. While this simplicity of gameplay does allow for faster turns, it can also get you into trouble if you do not first plan out your route of attack. You could end up in a dead-end with no enemy to attack, forcing you to end your turn and give control over to the enemy. There are over 800 different maps to choose from. Some are more traditional maps of the world or regions of the world. Others are individual states, cities, or even famous landmarks like a sports arena. As you tend to get familiar with a type of successful strategy on one map, you will find that switching to a different map offers its own unique challenges since each territory on a given map can only be attacked from so many positions. Having so many maps to choose from helps keep the game interesting. And if you cannot find any map that you like, you can create your own map with the Mac version of the game. Sillysoft, the creator of Lux Delux, has a map tutorial wiki dedicated to teaching you how to make an effective game map that others will enjoy playing as well. Where Lux sets itself apart is in the configuration of the computer-based players’ artificial intelligence. When you are challenging multiple computer opponents, the computer will in effect be playing against itself as well. You can choose to play against five different opponents. On the iOS version of the game, each opponent can be configured to be easy, medium, hard, “reaper” or random. Keep in mind that the more players there are at the beginning of each game, the more spread out you will all be. 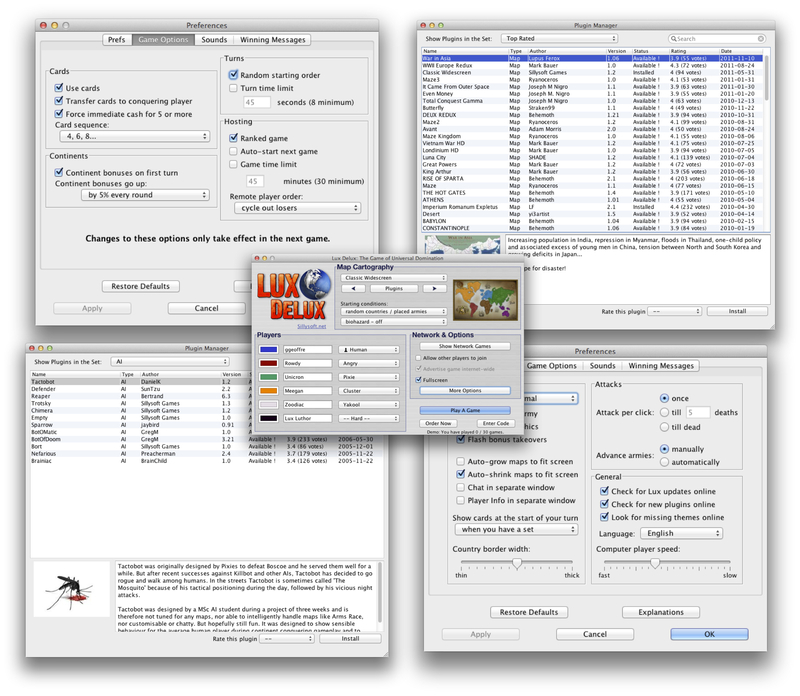 For the Mac version of Lux Delux you have even more options to choose from. There is even a software developer kit or SDK that you can download if you feel like designing your own artificially intelligent computer opponent. And just like the database of user-created playable game maps, there is also a database of additional computer opponents to choose from as well. While multiplayer mode in the iOS version of the game requires you to pass a single iOS device back and forth, the Mac version of multiplayer is a much different experience. With the Mac version of Lux Delux, you play in an online tournament against other players. When you start a new game in the Mac version, you can either browse a listing of games already in play that you may want to join, or you can host your own by adding online players rather than computer players before you start. Sillysoft also maintains quite the elaborate online ranking system that will keep track of your wins and losses over time. If you find that you enjoy the gameplay of the iOS version of the game, give the Mac version a go. Think of the iOS version of a traveling training device that prepares you for tournament play on your Mac. Be sure to take some time this weekend and get familiar with all of the customizable features that make this a great strategy gaming experience.